Jesus was entering His final week before the cross. Just days before He had raised Lazarus from the dead (John 11:43-44), and now He was enjoying a meal with His friends and His apostles. 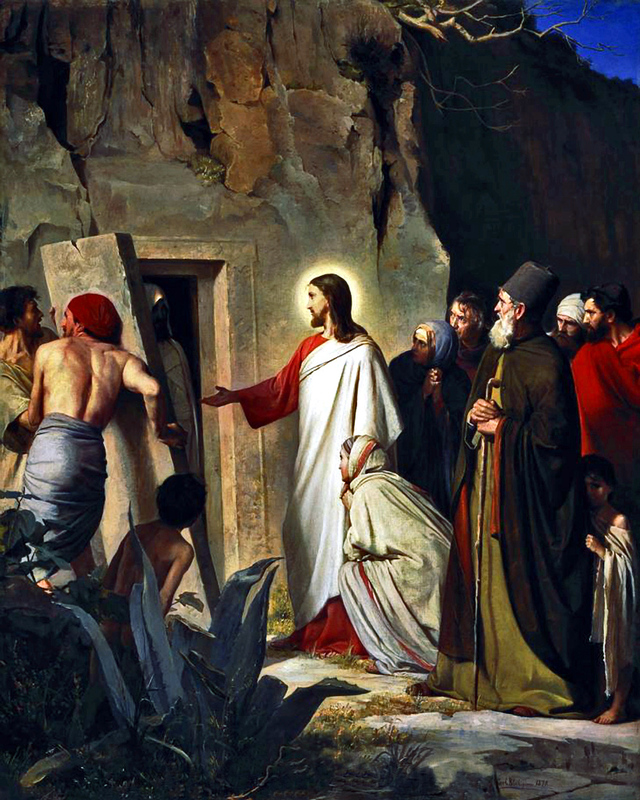 Lazarus was among the invited guests, and many curious spectators “came not for Jesus’ sake only, but that they might see Laz’-a-rus also, whom he had raised from the dead” (John 12:9). Others came with ulterior motives. After Jesus raised Lazarus, “many of the Jews which came to Mary, and had seen the things which Jesus did, believed on him. But some of them went their ways to the Pharisees, and told them what things Jesus had done. Then gathered the chief priests and Pharisees a council, and said, What do we? For this man doeth many miracles … Then from that day forth they took counsel together for to put him to death” (John 11:45-47, 53). Now, not only did they want to put Jesus to death, but they wanted to destroy the evidence to His miracle by killing Lazarus too. The reprobate mind is willfully blind. “They profess that they know God; but in works they deny him, being abominable, and disobedient, and unto every good work reprobate” (Titus 1:16). “Reprobate” is the Greek word adókimos meaning unapproved, rejected, or by implication, worthless. There is no fix to a reprobate mind; once a heart is hardened against God, He can do nothing less than give them over to a reprobate mind (Romans 1:28). For the reprobate mind, there is no amount of evidence that will turn their heart toward God. “If they hear not Moses and the prophets, neither will they be persuaded, though one rose from the dead” (Luke 16:31). This was proven true twice during Jesus’ final weeks: first Lazarus, then Jesus Himself. But instead of believing the evidence, they continued in their unbelief, “knowing the judgment of God, that they which commit such things are worthy of death, not only do the same, but have pleasure in them that do them” (Romans 1:32).